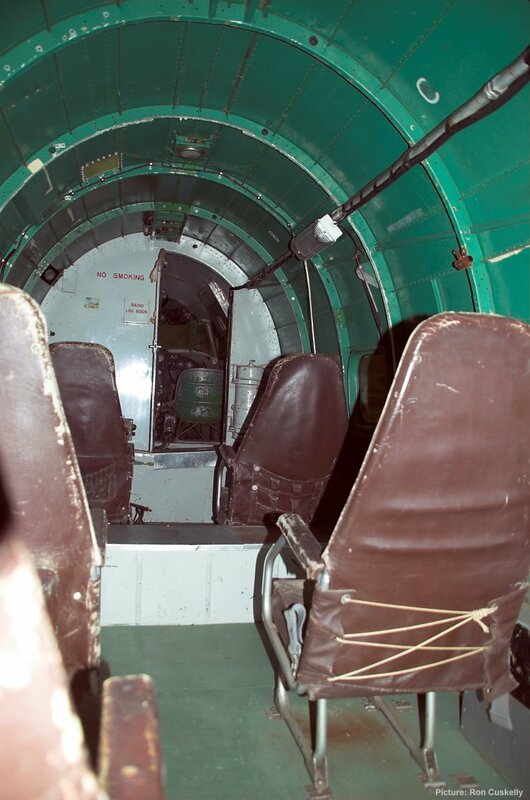 The cabin of Hudson VH-AGJ on display at the RAF Museum, Hendon on 4 April 2017. The interior is effectively an Adastra time capsule. 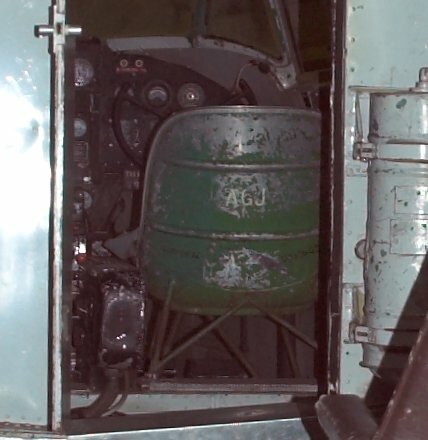 The enlargement indicates that the back of the co-pilot's seat is marked "AGJ" and the control wheels are now correctly positioned.